Author David Weigel On 'The Rise And Fall Of Prog Rock' Critic Lester Bangs once declared progressive rock "musical sterility at its pinnacle." David Weigel, author of The Show That Never Ends: The Rise And Fall Of Prog Rock, begs to differ. Keith Emerson of Emerson, Lake & Palmer, an essential prog-rock band derided in the 1970s by critic Lester Bangs. "Here is musical sterility at its pinnacle. A band that has absolutely no soul, no feeling in the music," critic Lester Bangs declared in 1975. The target of his derision? The British progressive-rock group Emerson, Lake & Palmer. Bangs disdained the band's objective, as he saw it, "to play pre-set solos as fast as you possibly can, [at] breakneck speed, and do it for about five hours." 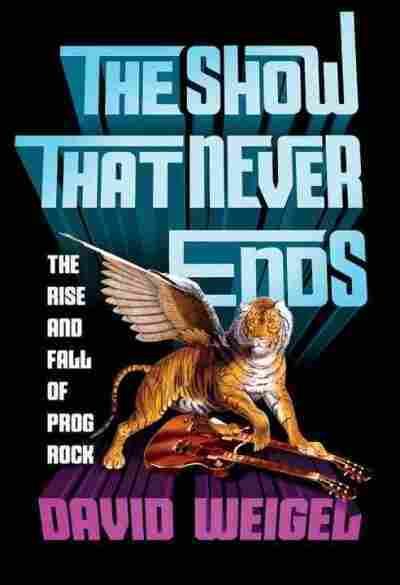 That critical contempt of prog rock as a bloated, pompous genre was one thing that prompted David Weigel to write his new book The Show That Never Ends: The Rise And Fall Of Prog Rock. By day, Weigel reports on politics for The Washington Post. But he used to write for Slate, which encouraged staffers once a year to write about something off their usual beat for a feature called "The Fresca." That's where Weigel pitched stories about prog rock — the complex, polyrhythmic province of bands like King Crimson, Yes, Asia and Genesis. "I've always liked this progressive rock that is not critically respected or has been written out of rock history — not completely, but written as sort of a hilarious little hurdle for real musicians to get over," Weigel tells NPR's David Greene. Pop culture at large has enjoyed mocking prog obsession via negative portrayals of prog-rock fans (see: the weird misfit characters of The 40-Year-Old Virgin and Buffalo '66, for example). But, Weigel argues, the genre doesn't get enough credit for its dynamism and inventiveness. Prog rock's open admission that it was "smarter" music often prompted accusations of pretentiousness, but those accusers failed to recognize that the musicians were often in on the joke, Weigel says. For instance, the rock press branded Emerson, Lake & Palmer "The Band That Took Rock 'N' Roll to College," but the band embraced the title, openly talking about introducing fresh influences to rock 'n' roll and making music that was "frankly, more intellectual than clunky riff-rock," as Weigel puts it. "If it was pretentious, it was because they were having fun with it," Weigel says. "They were adapting classical music and writing 20-minute pieces because they were men in their 20s who thought this was fun and radical." Nevertheless, there have been moments in the history of prog rock where the genre did lapse into self-parody and hilarious indulgence. Take the French band Magma, whose music featured hypnotic melodies and a language its singers invented: Kobaïan, the only language that would fit "this really rhythmically confusing but exciting, very percussion-heavy music that they [were] making," Weigel says. Then there was the time Yes keyboard player Rick Wakeman ordered curry midway through a concert, to snack on during the long stretches when he wasn't playing. The era of prog came to an end in the late 1970s, as the story often goes, due to the emergence of punk. "[Punk] absolutely diverted rock press, the A&R men and radio. ... They diverted the channels of how you heard about music," Weigel says. But when speaking to progressive musicians about the rise of punk, Weigel found that there were two schools of thought. On one hand, he says, "there were people like Greg Lake from King Crimson and Emerson, Lake & Palmer, who remained extremely bitter that the record industry turned to punk — which was never that popular — and ditched what was working for people." "And then there were people like Robert Fripp, also from King Crimson, who thought, 'Well, fantastic! It needed to be blown up!' " Weigel also points to Peter Gabriel, who left Genesis to start a solo career, embraced New York punk and returned a different musician. Although prog rock imploded in the late '70s, the genre's influence on contemporary music is undeniable. "Heavy metal, several generations down from progressive rock — it is all over the place," Weigel says. "The harmonics, the songwriting, the loud-quiet-loud dynamics were done by progressives long before metal." 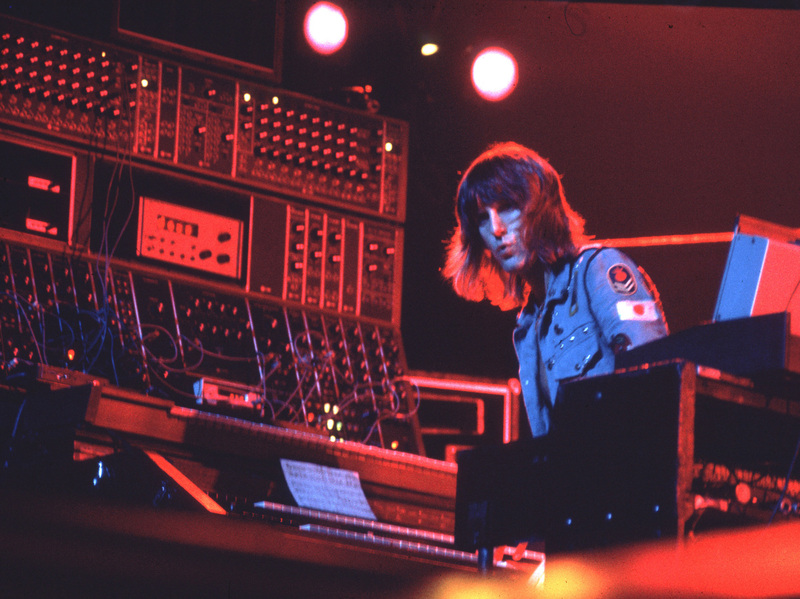 Electronic music, too, owes a debt to prog. "The Mellotrons, the Moogs and then the Yamahas and stuff they were using later — making that the grounding of a song, hooking the melody to an organ, making it clear that could carry a song on it," Weigel says. "I think that is progressive rock's influence as well."